As recently as one month ago, Maurice Harkless was fully committed to Connecticut. “He’s sticking with UConn, and I can see him curling off screens in Storrs,” a source said at the time. Then, on June 21, Harkless decided to decommit – but was still heavily considering the Huskies. 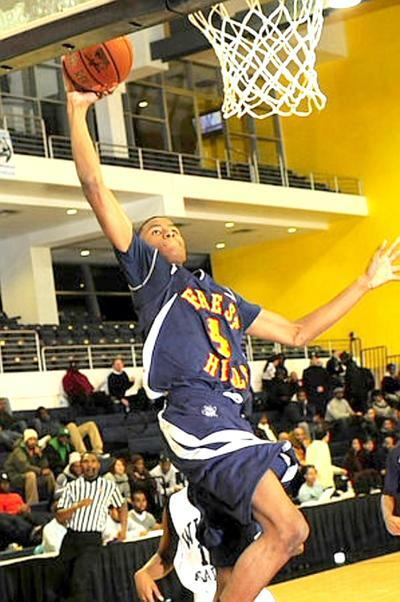 Now, the former Husky commit has completely eliminated the Big East school from his recruitment. Blue also said that Connecticut’s switch from being a team led by big men who can block shots and rebound to a perimeter-oriented group was a key factor. Another reason for Harkless eliminating the Huskies, according to Blue, was the uncertainty surrounding head coach Jim Calhoun’s future, despite the contract extension. “Calhoun’s contract is retro[active], which means he’s got three years with Harkless,” he said. “So if coach leaves after two years, we are stuck with no idea who’s in charge, which leads to transfers. I just don’t see that roster making it to the NCAA Tournament. Harkless, a 6-foot-8 forward from Queens who will play at South Kent Prep (Conn.) next season, has heard from Memphis, St. John’s, Maryland, Rutgers, Seton Hall, Arizona, Temple, Cincinnati, Xavier, Syracuse, Louisville and others since decommitting.